This season is all about warm, familiar and hearty food. 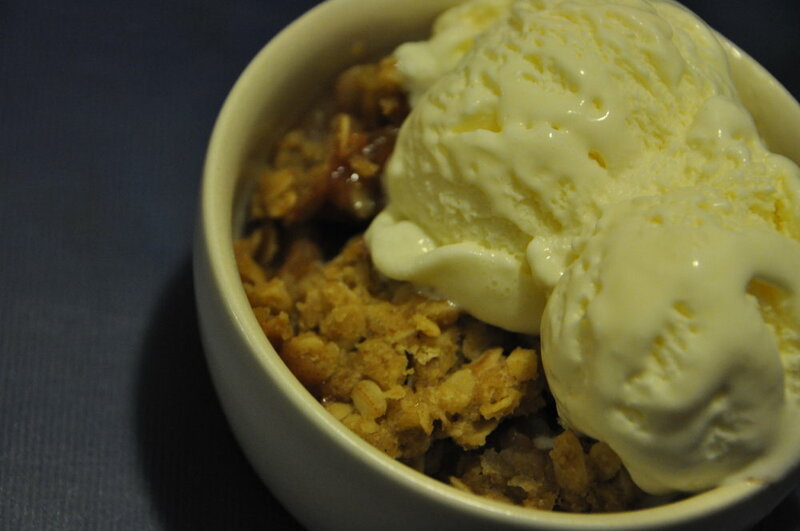 Nothing ever beats a healthy serving of warm Apple Crisp with over-flowing scoops of Vanilla Ice Cream for the traditional taste but feel free to go crazy with sorbets, chocolate-y flavors, etc. to top your apple crisp with. All I know is that for potluck season, this is THE choice! In a large bowl, mix together flour, brown sugar, salt, and 2 tablespoons granulated sugar. Combine butter, oats and flour, using the best tool ever, your hands! Crumble mixture you’re your fingertips. Then toss and squeeze mixture until large, moist clumps form. In another large bowl, toss apples with calamansi juice, cinnamon, and remaining 1/2 cup granulated sugar. Transfer to a shallow 2-quart baking dish, and sprinkle with topping mixture. Bake until golden and bubbling, 50-60 minutes. Let cool 10 minutes before serving.